Two years ago, following a #RyderCup wager with our friends over at Pinehurst, this happened… We lost! Two years ago, in 2016, Pinehurst won the initial Ryder Cup Wager. 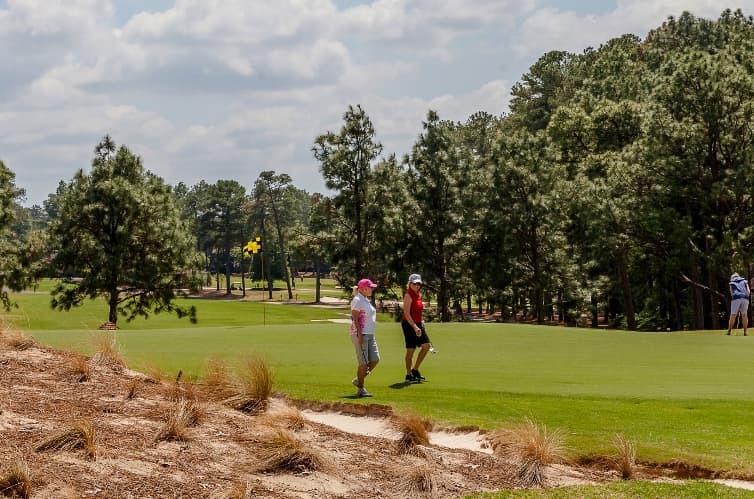 The bet is simple: If Team USA wins, The Old Course flies a Pinehurst No. 2 flag on the 18th Hole. If Europe wins, we fly an Old Course flag on 18 of Pinehurst No. 2. The flags fly all day Monday following the Ryder Cup. So, should we do it again? Is it time for #RyderCupWager2? Our friends at @TheHomeofGolf must be feeling good about the #RyderCup. It seems #RyderCupWager2 is on the table. Here’s the bet: If @RyderCupUSA wins, a No. 2 flag flies on 18 of The Old Course. If @RyderCupEurope wins, an Old Course flag flies on 18 of No. 2. Our mentions are pretty emphatic, @TheHomeofGolf.